New to the hairy crab? 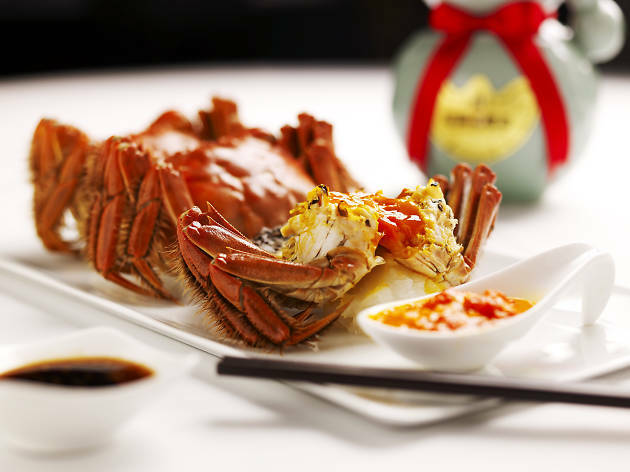 Get acquainted with China's roe-filled crustacean seasonal export at Min Jiang at One-North, as master chef Goh Chee Kong works its meat and eggs into a baked dish with tomatoes, a prawn ball and in a steamed xiao long bao in a trio platter ($26). 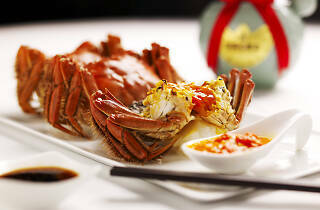 These and the more traditional serve of hairy crab steamed with ginger rice wine ($68) are also available à la carte and as part of two set menus ($108/person, $118/person, minimum two to dine).